Website Design Associations Foundations | We create website brands that power foundations, non-profits and associations. Run your foundation or small business and we’ll take care of running your website. Don’t waste your time and hard earned money on big box website companies for free website builders who promise you the moon but fail to deliver an unique, original website. You need to know that you’ll see results. You want a web design expert who understands your needs, and who’s got your back. It’s time to call the web design pros at VISIONEFX. 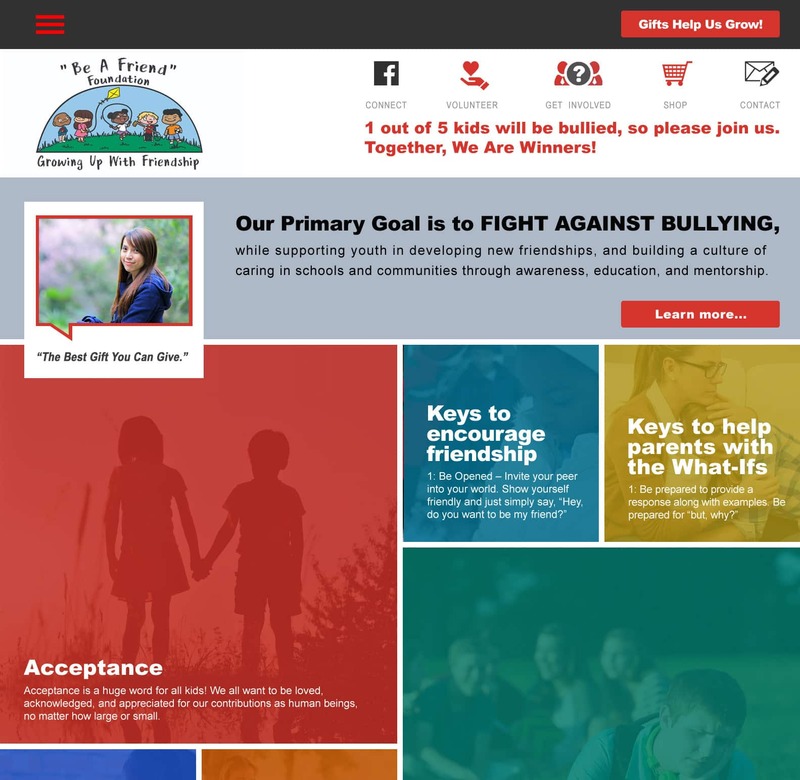 This recent web design Franklin VA project for Be A Friend Foundation provides a competitive website presence in a competitive space. Run your foundation, association or small business charity and we’ll take care of running your website. View Our Design Process‘ and browse our creative approach taken to build you that perfect foundation website design that is tailored to your company message. Call VISONEFX at (757) 619-6456 or email direct to info@visionefx.net. We also invite you to read our client reviews. Feel free to reach our and contact our website customers. They will tell you our web site design and lightning fast web site maintenance services are second to none. When it comes to ‘Website Design Associations Foundations’ – nobody does it better.